This newly developed light meter measures the current illuminance at its fixed sensor with a high sampling rate for a fast and accurate evaluation of the measurement results. The easy to read LCD display is equipped with an automatic backlight, which activates itself in low brightness areas by a photodiode. 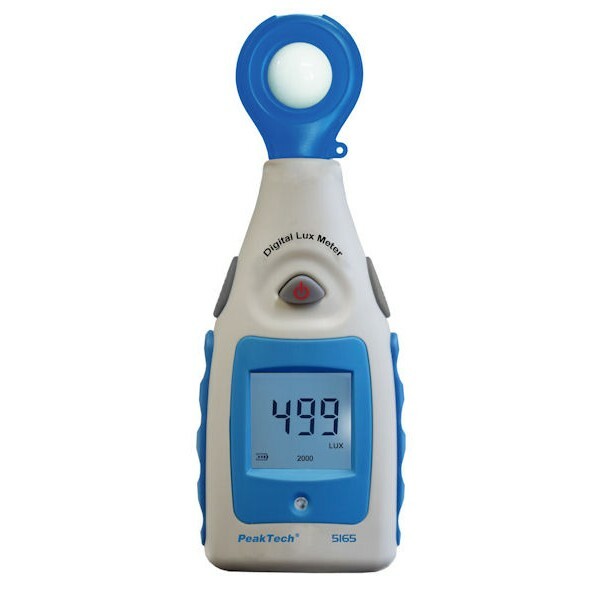 In addition to the precise measurement function, this device also offers a minimum and maximum value function, and a data hold function at the push of a button. By the handy and robust design, this instrument is especially suitable for use in the field of occupational safety, as well as the evaluation of lighting systems in agriculture and the industrial sector or in offices.